For many Americans, purchasing a home can be a daunting and confusing process. For foreigners looking to buy U.S. property, the process can be even more complicated. But with America’s economic opportunities and low interest rates, foreigners are snapping up U.S. real estate. Historically, five countries have accounted for the bulk of purchases: Canada, China, Mexico, India, and the United Kingdom. Many of these buyers view U.S. real estate as a secure and profitable investment. Whether you’re a foreigner relocating to the U.S. for a job, looking to purchase real estate for investment purposes, or interested in a vacation home — it’s important to know what to expect as you begin the property-buying process. How are you planning to use? Where are you planning to buy? Are you ready to pay (taxes and more)? Are you prepared for the process? Is your desired property an investment, vacation home, permanent residence? You need to determine what you want to use the property for and that will help guide your homebuying process. There are many real estate sites that you can access to get real estate listing information, like Zillow, Trulia, or Redfin. Make sure you properly research the area where want to buy property to get an idea of the environment you might soon be living in. Research the rules in your own country for buying real estate in the U.S. You may be subject to limitations depending on where you live. Research the real estate rules in the state you plan to make your purchase. Rules about the type of contract used, how the sale is closed, etc. vary from state to state. Make sure you know what you’re getting yourself into before you start the home purchasing process. 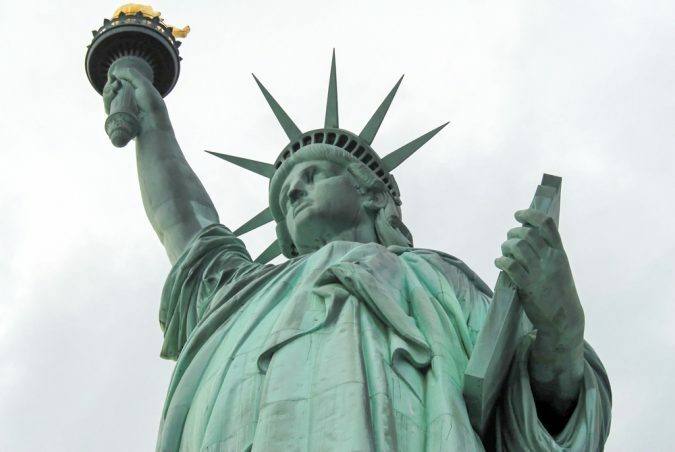 Buying a home in the United States does not give you any rights regarding legal status. You’ll have to talk to an immigration lawyer if you plan on staying in the U.S. longer than allowed by a tourist or standard visa. Research the type of visa you might need. You might have to get an E-2, which allows an individual to work or live in the U.S. based on an investment he or she controls, or an EB-5, which provides a method of obtaining a green card for individuals who invest between $500,000-$1 million in an area to create or preserve U.S. jobs. There are several other visa options as well, like an H1-B, TC-1 or TN, among others. Find out more information about different visas. While you don’t necessarily need to be a citizen or even have a green card to buy a home in the U.S., you will need an Individual Taxpayer Identification Number. Find out more information on how to get an ITIN. Find the right professionals to help guide you through the process. Seek out the aid of a real estate agent and attorney. You might also consider getting an accountant and loan officer to help. You can find an agent specializing in foreign buyers from the National Association of Realtors. Many foreign buyers pay with cash because it speeds up the process. If you’re looking to get financing, you should know that your options might be limited. There are a few lenders in the U.S. who offer home loans to foreigners, so you may have to do some searching. If you do get a loan, you’ll have to establish a U.S. bank account. Your lender might require you to have a specific amount on deposit and set loan limits. Be aware that as a foreign borrower you’ll also be charged slightly higher interest rates than residents of the U.S. There are a host of financial issues that you should keep in mind when making a purchase: currency exchange rates, wiring costs, import/export restrictions, and taxes. Remember: you’ll have to pay property taxes, which can shock or surprise you depending on whether you’re coming from a place like Jamaica or Hong Kong. Taxes on your property will vary depending on its location and value. Also, your taxes will be impacted by whether you purchase your property directly in your name or through a business entity. If you want to purchase real estate in the U.S., be prepared to provide a lot of documents, including bank statements, forms of identification, and documentation of your assets. Know that the home-buying process may take a while, but don’t get discouraged. Is it Possible to Lower Your Mortgage APR? Where to Find the Best HELOC Loan?